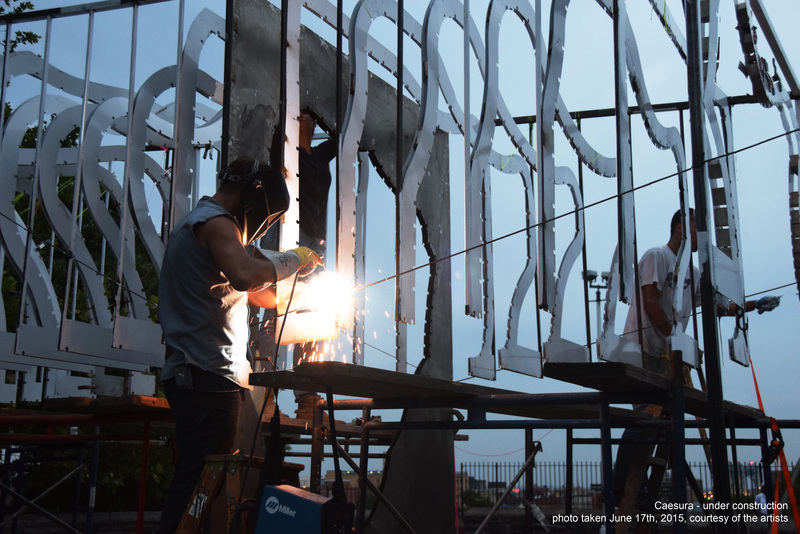 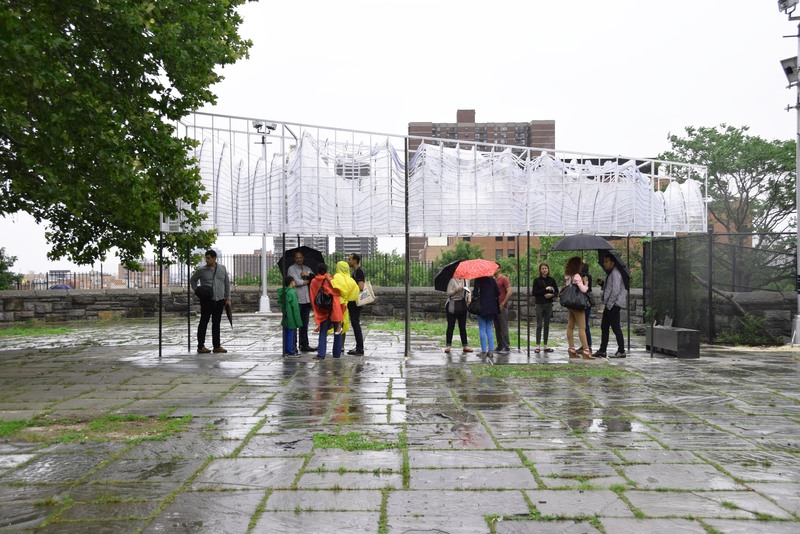 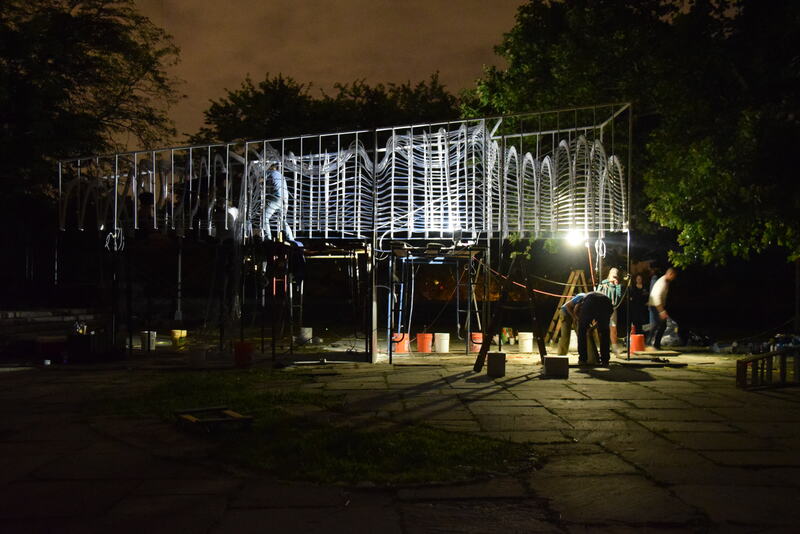 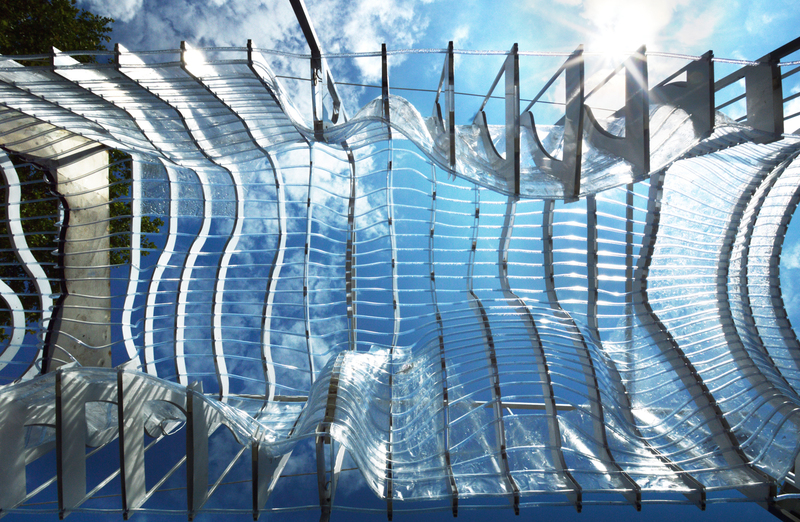 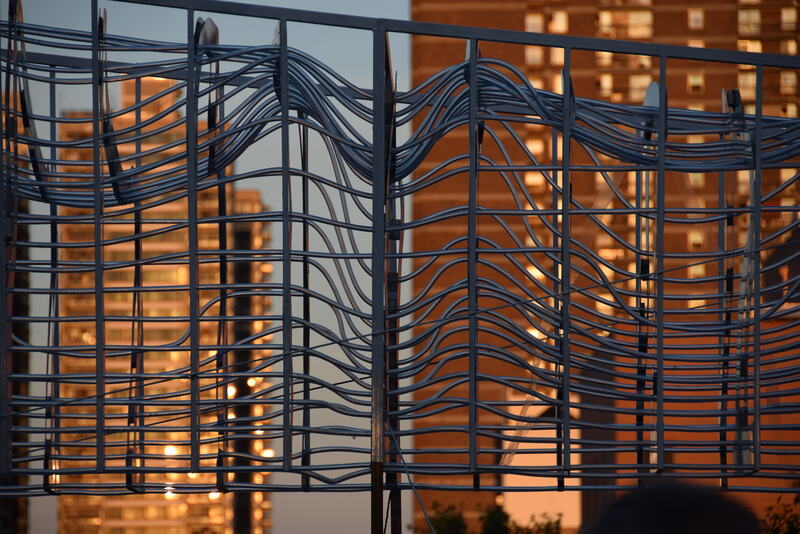 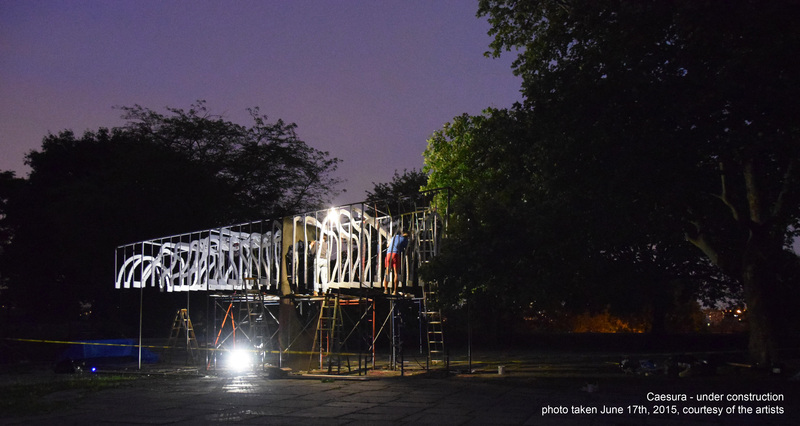 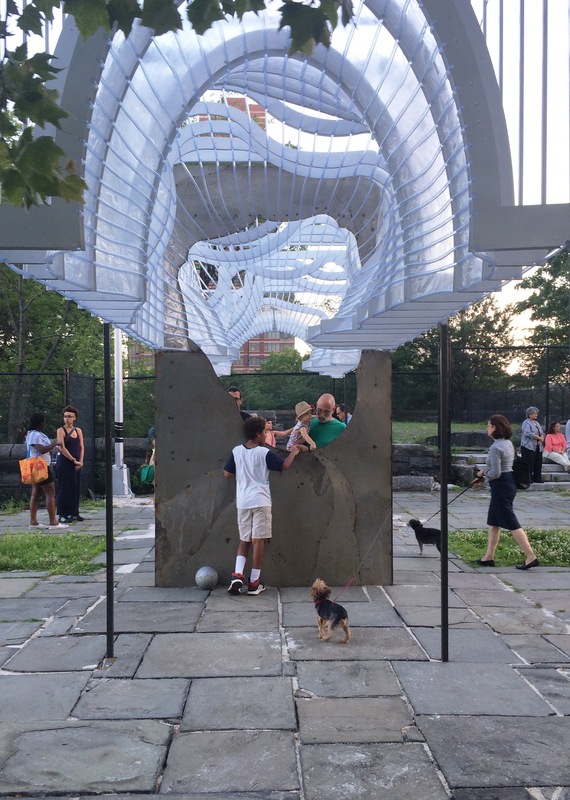 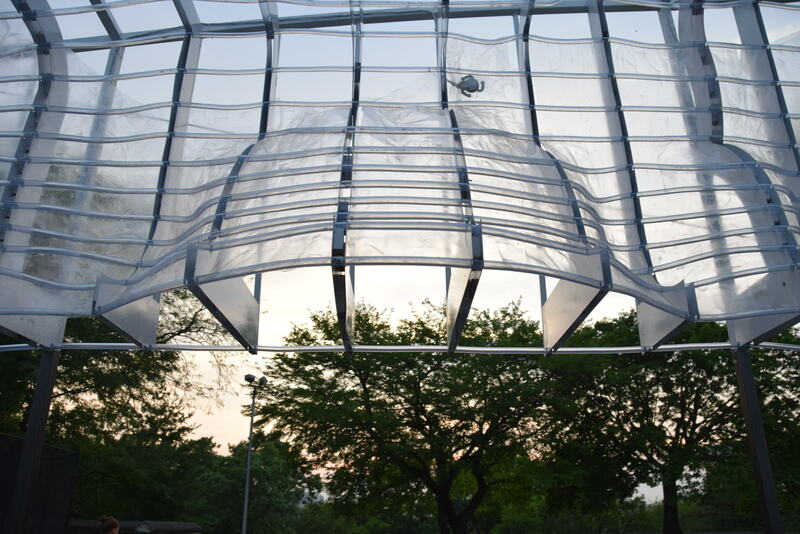 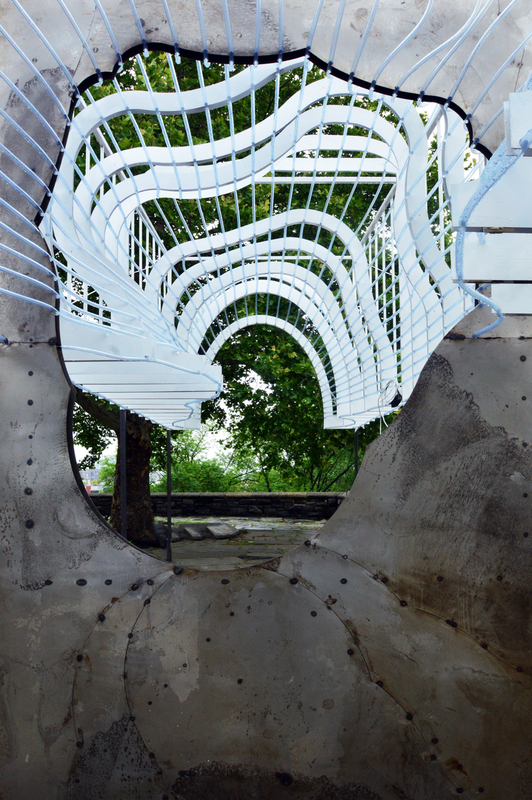 caesura: a forum is a site-specific sound and architectural installation, presented on the Acropolis in Marcus Garvey Park. 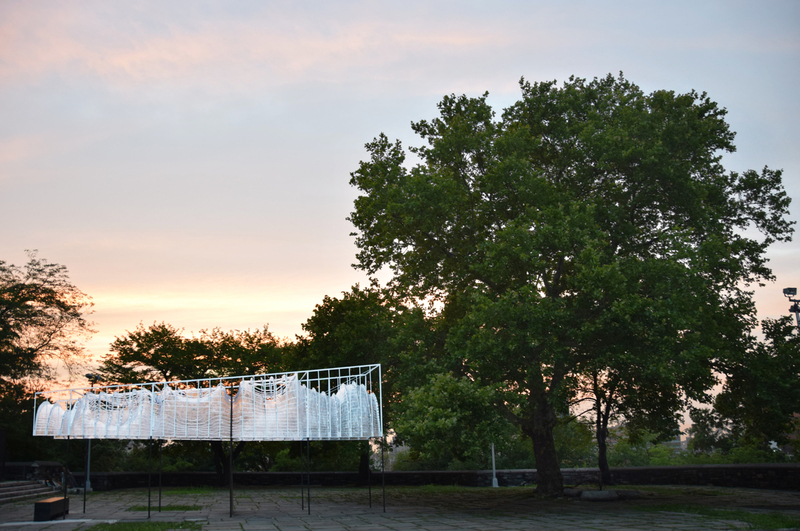 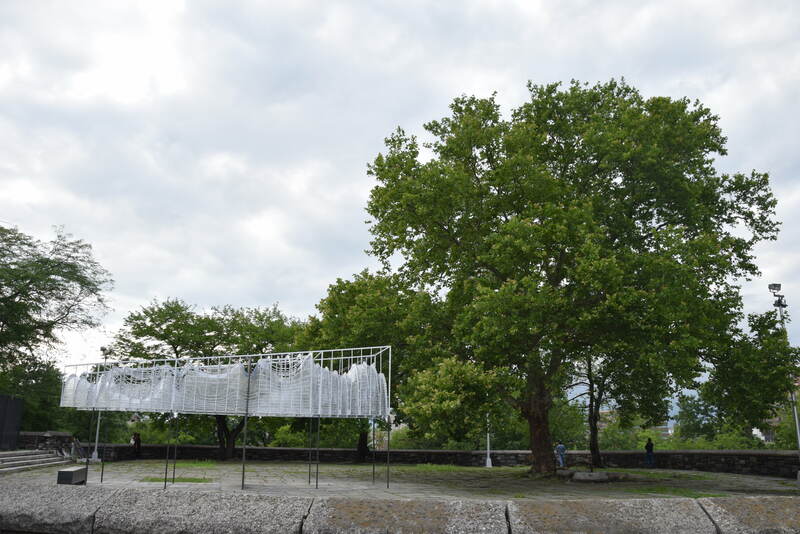 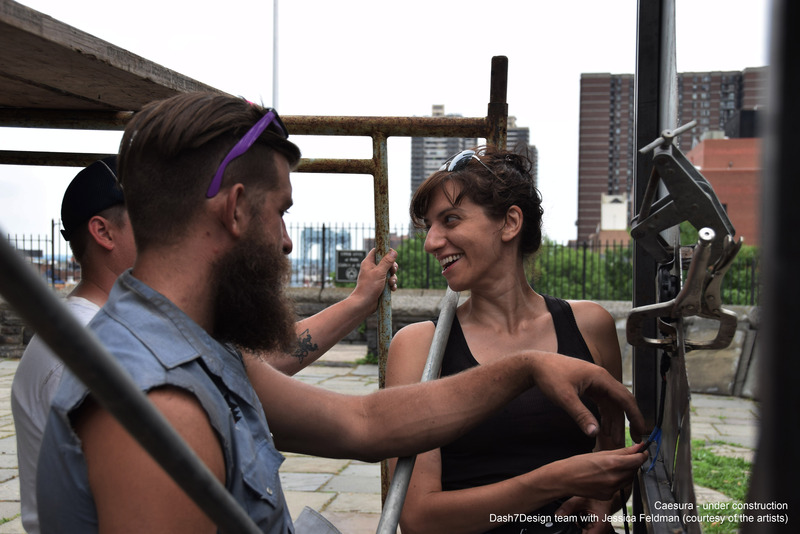 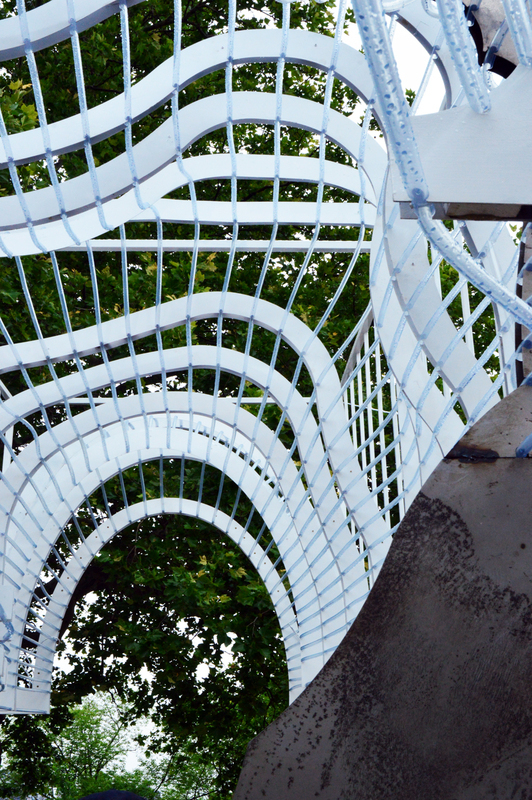 The installation provides a space for gathering, listening, and community within the Harlem Park and is inspired by the park’s historic Fire Watchtower bell and past as a site for activist organizing. 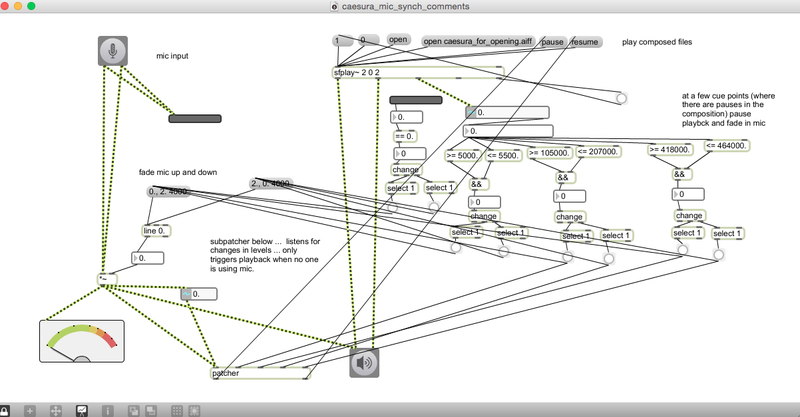 The sonic component of the piece consists of an interactive composition, made up of bell sounds and voices. 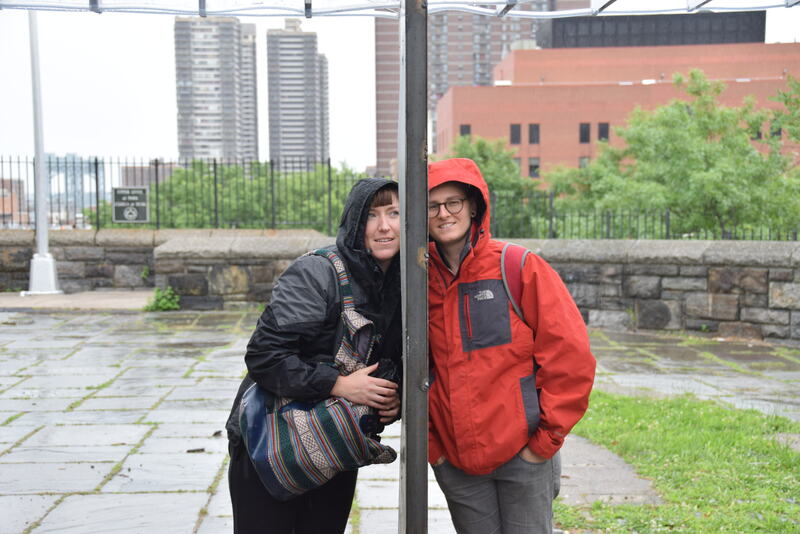 Historical and contemporary recordings from speeches, rallies, chants, and assemblies in Harlem are alternated with a through-composed layer of echoing bells. 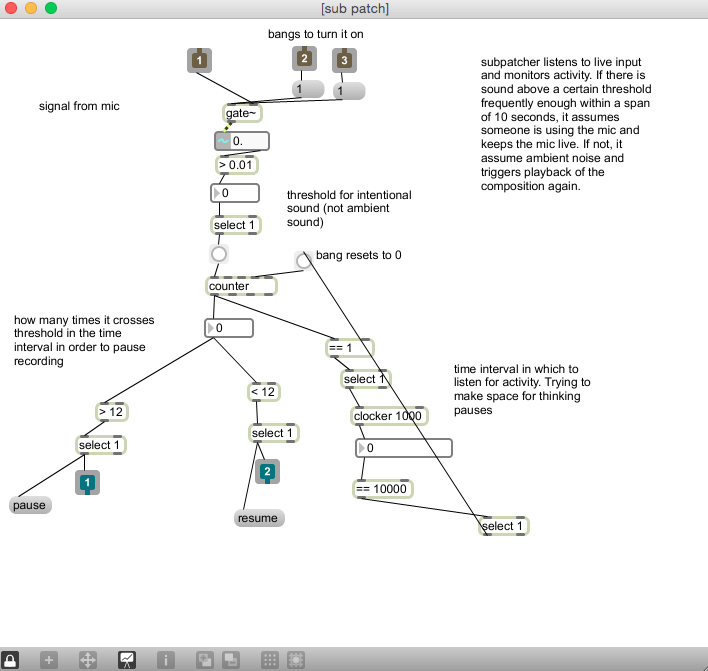 These sounds play and pause throughout the day, making acoustic space for participation and assembly. 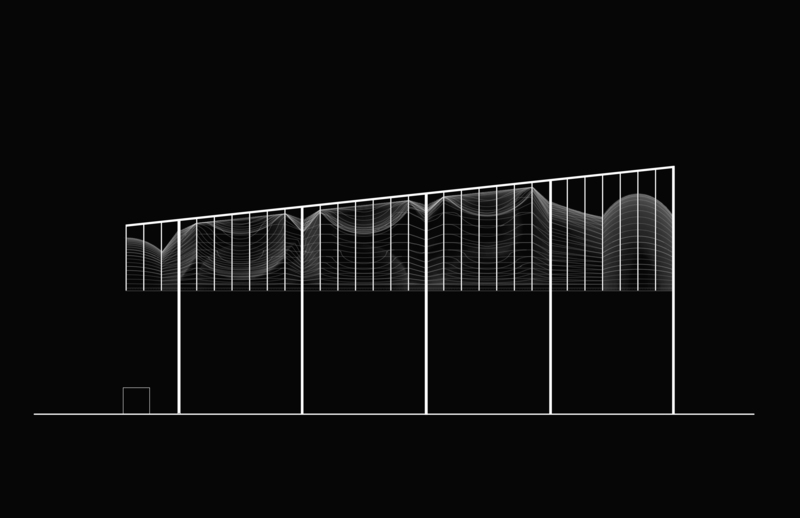 Analogous to a megaphone, the formal profile of the tower has been tipped sideways, allowing sound to be projected outward. 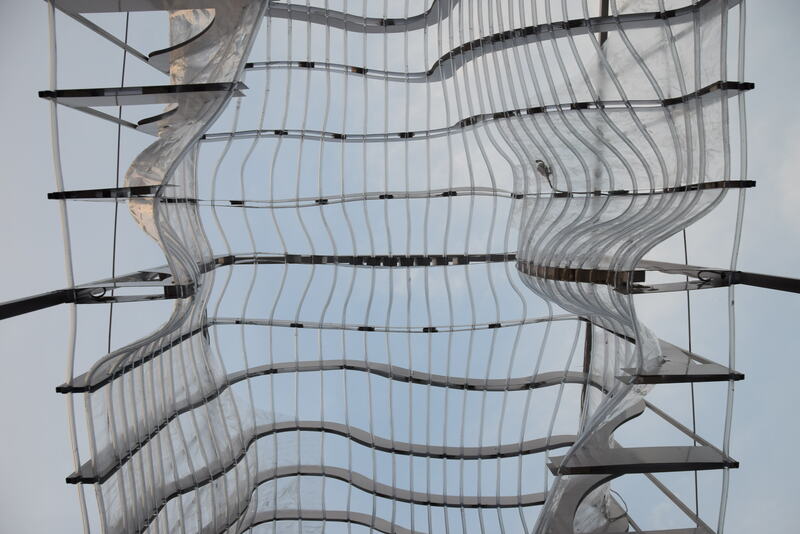 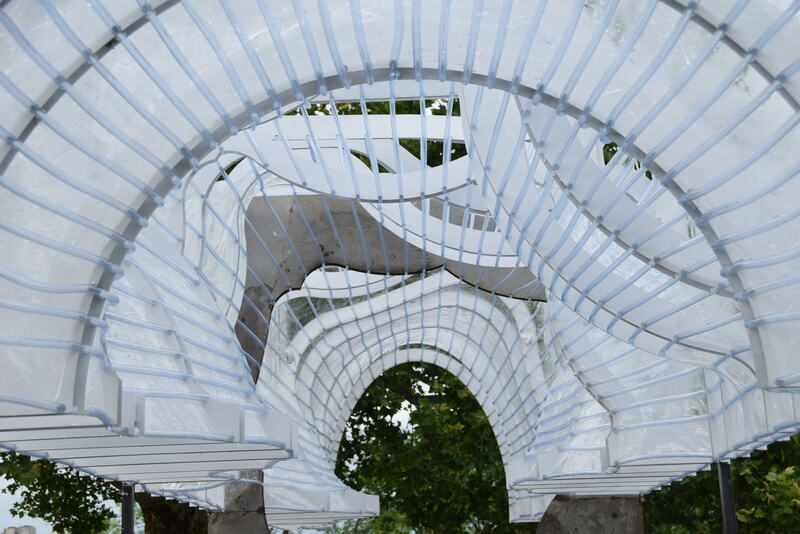 Taut, translucent film runs through this shape and is mounted with electromagnetic transducers that turn the material into a speaker, allowing sound to pour down from the spaces in between the arches above visitors. 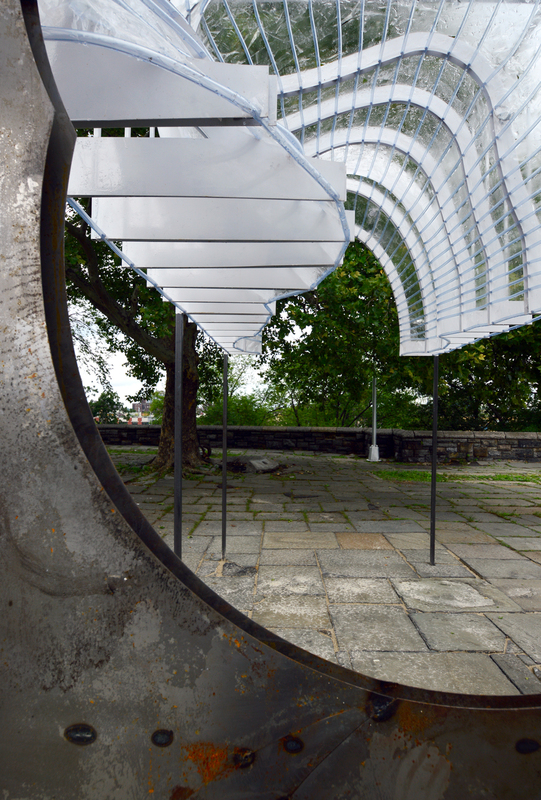 Transducers mounted inside the steel plate, standing in for the absent bell, resonate occasionally with a sounds composed out of the reverberations of bells. 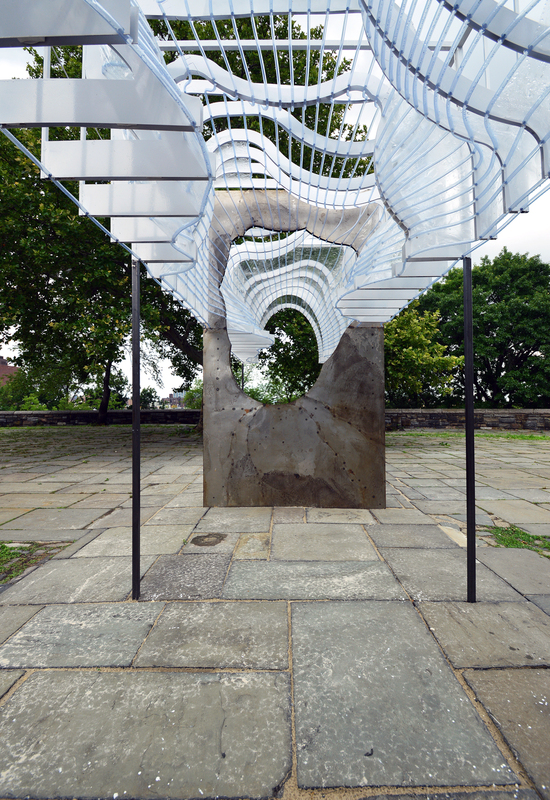 A microphone mounted at the entrance to the installation leads to an interactive max patch, which senses speaking, and allows visitors to broadcast their own voices through the piece. 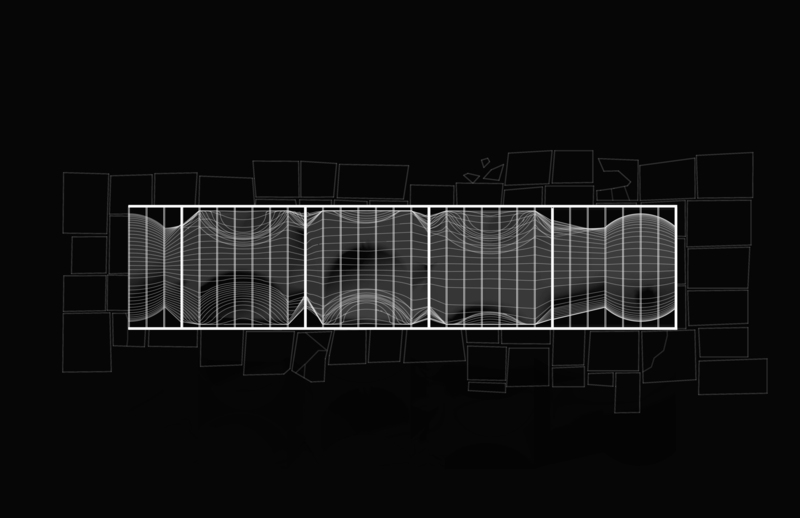 New and old histories are recorded, spliced, and digitally scripted together, activating the acropolis throughout the day. 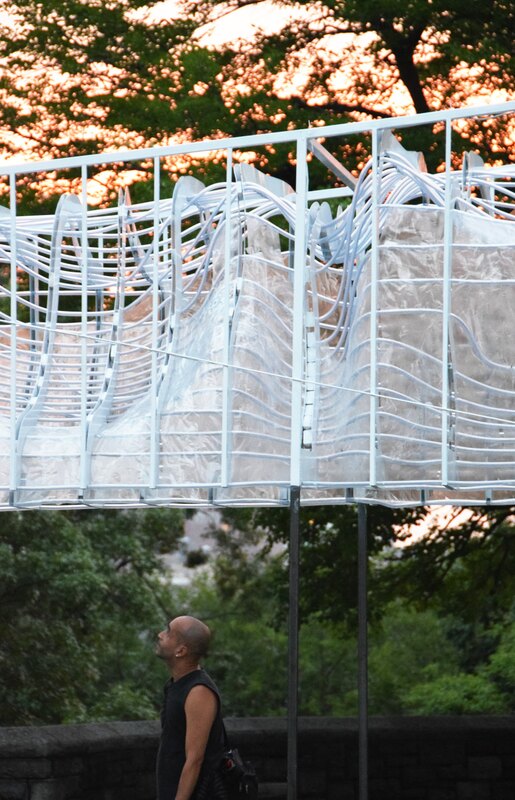 - Ralph Ellison, Invisible Man (New York: Vintage, 1995), 451.